Ormsby MacKnight Mitchel was a tireless scientist and engineer who deserves a share of the credit for shaping American astronomy. He was an institution builder and a self-taught astronomer responsible for starting both the Cincinnati Observatory and our own Dudley Observatory. He was also an inventor, and his chronograph allowed a single astronomer to both make observations and record the exact time the observation was made. This made the star catalogs late 19th century possible. But for all that, Mitchel is likely to be best remembered for something that has nothing to do with astronomy. Mitchel helped found the Dudley Observatory and became the director, but he never set foot in the building. That’s because the Civil War started before he made it to Albany. 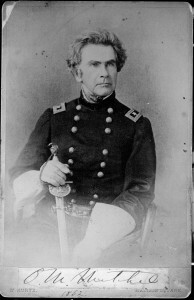 Mitchel entered into the Federal Army with a reserve rank of brigadier general and organized defenses around Cincinnati, Ohio, then moved into Kentucky and Tennessee. It was in Murfreesboro, Tennessee, in April of 1962 that Mitchel saw an opportunity. He was not far from rebel-held Chattanooga. He could take Chattanooga, but there was a rebel held railroad running from the city down to Atlanta, Georgia, that would bring up rebel reinforcements. But if that railway was somehow destroyed, then Mitchel could hold Chattanooga and win a major victory. 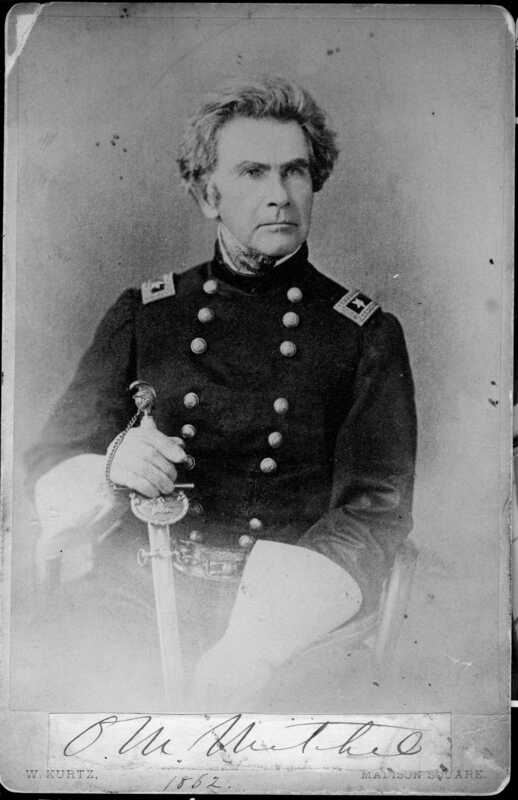 Mitchel didn’t have the troops to attack both Chattanooga and the well defended railway. That meant it was time to get sneaky. Mitchel worked out a plan with a civilian spy named James J. Andrews. The agent would lead two dozen Union soldiers in plain clothes down to Atlanta. There they would steal a locomotive engine and flee back towards Chattanooga, destroying the railway bridges as they went. Then they would shoot through Chattanooga and rejoin Mitchell’s army. The plan started off without a hitch. Andrews and his men slipped into Marietta, just north-west of Atlanta. Meanwhile, Mitchel successfully took Huntsville, Alabama, which would be Andrews’ destination after the operation. Two of Andrews’ men were accomplished engineers, and they slipped into an unattended train named The General, uncoupled it from the baggage cars and steamed off with their stolen engine. Things fell apart not long thereafter. Despite their haste, they were required to sit for twenty minutes on a side track to let another train pass. This was enough time for the rebel troops in Atlanta to figure out what had happened and set off in pursuit with their own engine. Andrews and his men had to abandon the plan and steam ahead as fast as possible to escape their pursuers. What followed was a hundred mile railway chase which has become legendary in American history. Dubbed The Great Locomotive Chase, it captured the imagination of the American public. The popular historian John Stevens Cabot Abbot wrote a breathless article about the raid for Harpers in 1865 from which I took my title, “Heroic Deeds of Heroic Men.” It has been the subject of probably a dozen books, starting with Daring and Suffering by one of the participants, to the recent Stealing the General by Russell Bonds. It was the inspiration for Buster Keaton’s 1926 movie “The General,” and in 1956 it became a Disney movie starring Fess Parker (AKA “Davey Crockett”) as James Andrews. The Disney film got mixed reviews, likely because the ending was downbeat. Andrews and his men ran out of fuel and had to abandon their engine. They were rounded up and imprisoned. Eight, including Andrews, were eventually hanged. Their mission failed, and Mitchel did not take Chattanooga. He would die six months later of yellow fever. The bravery and ingenuity of the men involved has not been forgotten. When the Medal of Honor was created in 1863, one of the raiders named Jacob Parrott became the first recipient. Unfortunately, James Andrews himself could not receive a posthumous awards since he was an espionage agent and not officially part of the military. He is remembered on a monument at the Chattanooga National Cemetery. 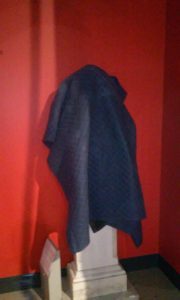 Can You Find Charles Dudley Cleverly Hiding in this Picture? Look carefully. He’s a sneaky one, that Charles. Yes, the dinosaurs are going away, so Charles Dudley is out from behind the foliage. Not quite out of hiding yet, because there’s still a lot of equipment moving left, but soon. Poor Chuck, he gets no respect. Though it’s probably not that different from when he was alive. As an archivist, I’m not used to covering topical issues. But the history of women computers in the field of science is suddenly getting a lot of attention. The latest is the film “Hidden Figures,” which follows four African American women and their careers as mathematicians in Langley Memorial Aeronautical Laboratory’s computer pool. It’s based on the book by Margot Lee Shetterly and it’s slated to hit theaters late this year. The focus now is on changing this perception. As I pointed out last time, the history of American astronomy is intertwined with the history of computer science and women mathematicians. Astronomy may be the path forward once again. What Happened to the Women Computers? I’ve spoken about the Dudley Observatory’s corps of women computers several times now. Every time, someone has come up to me afterwards to mention that, back in their day, there still were departments of women working low level mathematical jobs. Without giving away anyone’s age, I can say this runs up until the seventies. This makes sense. Although the job would change, the fundamental forces that creating the teams of women computers would stay the same: the job was tedious, time consuming and low status, making it suitable women’s work in a time of nearly unquestioned gender roles. And women could be hired in greater numbers because they could be paid less, allowing large teams to be created. And there’s no reason that it should be confined to the field of astronomy. The factory model of doing mathematical equations seems to have been born in astronomy, but it was too useful to stay there. One field where number crunchers were in great demand was ballistics. During WWI, the militaries of the world realized that the equations for cannon trajectories did not work for modern anti-aircraft guns and bombs dropped from zeppelins. And so a proving ground for modern weapons was set up in Aberdeen, Maryland, and an office of experimental ballistics was set up in Washington under Major Forest Ray Moulton. In civilian life, Moulton had been a professor of astronomy at the University of Chicago. This worked well, because the equations for the flight of artillery shells used some of the same calculus as plotting the path of a comet. 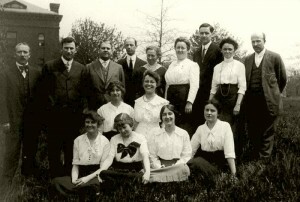 And when Moulton went looking for computers, he used the same process used in astronomy and began hiring both men and women. His chief computer was Elizabeth Webb Wilson, a graduate of George Washington University with a degree in mathematics. About the time that Dudley was completing its massive star catalog, Virginia Tucker was being hired by Langley Memorial Aeronautical Laboratory to work in a new computer pool. From 1935 until 1946, Tucker would help calculate drag from wind tunnel tests (another factor in ballistics) in what would eventually become America’s space program. By the end of WWII, Tucker was overseeing some 400 women computers working throughout the laboratory. The idea of women computers persisted, even as the equipment went from being pencil-and-paper to adding machines to punch cards. Eventually the title of “computer” was transferred to the device and the human operator became a programmer. But the same forces still applied, and so the first programmers were women. 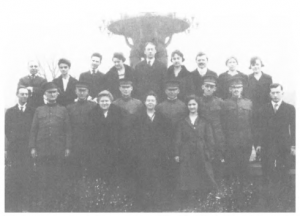 For example, during WWII the Aberdeen Proving Grounds went to work again, this time with 80 women employed at the University of Pennsylvania to calculate ballistic trajectories. In 1945, six of these women were tapped to program a new device known as the Electronic Numerical Integrator And Computer or ENIAC. ENIAC is regarded as the world’s first electronic digital computer, making these six women the first programmers in the modern sense. So there is a direct line between the crews of female computers in observatories like Dudley and the early days of programming. This story of women’s key role in the trenches of mathematics and programming is a story that is just now being told. I would recommend David Alan Grier’s book When Computers Were Human for an overview, and the new documentary “The Computers: The Remarkable Story of the ENIAC Programmers” for that chapter of the story. Of course, that’s not the final chapter by any means, but the rest will have to wait for another post. In 1892, Dudley Observatory director Benjamin Boss took stock of the observatory’s position in the field of astronomy and found it wanting. Dudley was had fallen behind the times, with no equipment to do spectroscope work and no telescope capable of doing photo-astronomy. Worse, the position of the Dudley made fixing these problems difficult. The first Dudley observatory was too close to four tracks of the New York Central railway, and the vibrations would throw off the careful calibration of any instrument the observatory used. So Boss negotiated with the city for a land swap. He gave up the site of the first observatory, with its hordes of goats, and traded it in for a site to on the grounds of the Albany Alms House. 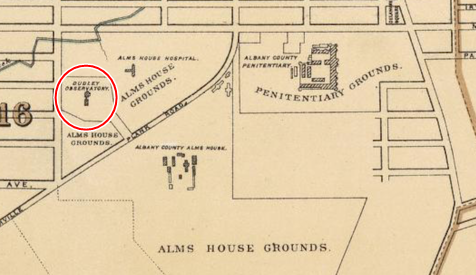 The Alms House provided minimal housing and work for the indigent in Albany, and the rest of the grounds provided the farm land to sustain it, plus a cemetery. Above you can see the Dudley Observatory, placed within the distinctive triangle of what are now South Lake, Myrtle and New Scotland Avenues. The Alms House Hospital has been replaced by the Albany Medical College, and the Alms House itself has been replaced by the Albany College of Pharmacy and Albany Law School. The second building is Dudley’s most famous, and it was one of the most iconic buildings in Albany at the time. It showed up in postcards and maps of the era. The second building is Dudley’s most famous, and it was one of the most iconic buildings in Albany at the time. It showed up in postcards and maps of the era. It was an imposing Romanesque structure of red brick, two stories tall with an observatory tower at the western end. To the east was the residence of the director and temporary housing for visiting astronomers. In the center were the rooms for the computers, the library and the rooms for the resident astronomers. 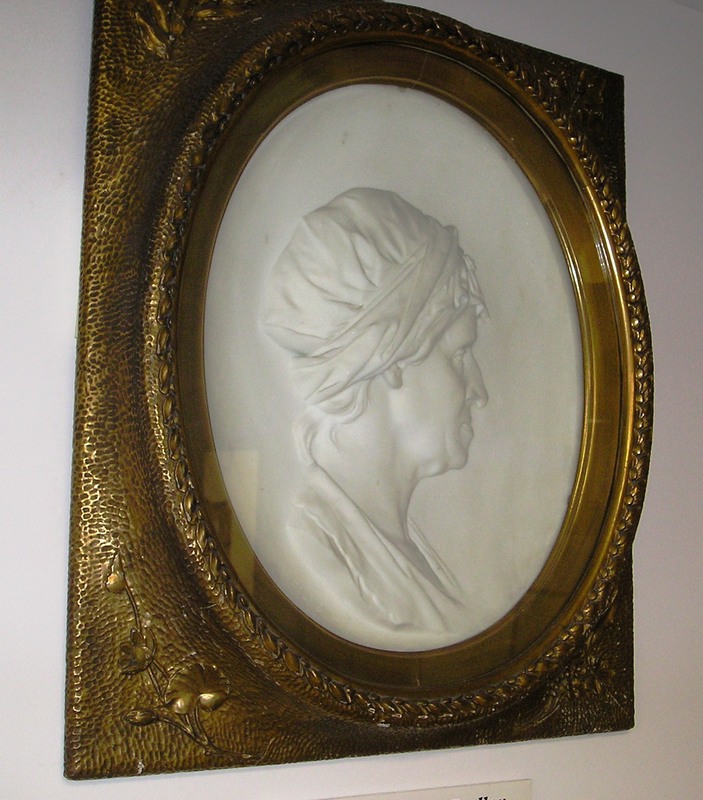 This time the patroness for the Observatory was Catherine Wolf Bruce, daughter of the industrialist George Bruce, who helped fund many great observatories around this time. In the end she would donated $35,000 to the move and the construction of the new building. 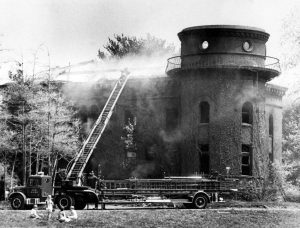 The second Dudley Observatory burned down in May of 1970, as you can see in this photo from the Times Union Collection. It was already empty. Dudley had soldthe building to Albany Medical Center and moved out in the mid-1960s. 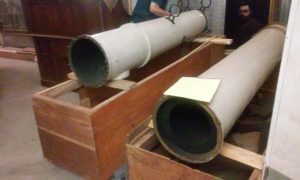 All the equipment, including the Pruyn Telescope, was packed away in a warehouse, so it was undamaged. The gutted building was torn down and replaced by the Capital District Psychiatric Center. The third home of Dudley Observatory was a simple office building at 100 Fuller Road in Albany, where scientists and engineers worked under Curtis Hemenway on a number of projects for NASA, most notably on micrometeorite research. And the current home is, of course, here at miSci. Hopefully we’ll be staying awhile. Writing about Blandina Dudley can be tricky. I can wish it were different, but almost all of our sources focus on her relationship with the men around her. Basically, any discussion of Mrs. Dudley fails the Bechdel test. Mrs. Dudley was born Blandina Bleecker, part of the prosperous Dutch Bleecker family. Her great-grandfather, Jan Jansen Bleecker (1641-1732), emigrated to American in 1658. He started out as a blacksmith, but quickly became financially successful as a merchant, surveyor and land speculator. Most famously he owned part of the Saratoga patent that included Bemis Heights. He was politically successful as well, serving in various roles in Albany politics, including Mayor in 1700. Jan Jansen’s grandson, Rutger Bleecker (1745-1831), continued the tradition of land speculation and surveying. Somehow after the Revolution he ended up with a fair amount of property seized from Tories and became very wealthy from the sale. Rutger’s wife, Catharina Elmendorf, gave birth to Blandina in 1783. And now we run into problems. We know nothing about Blandina’s life until she marries Charles Dudley, and then nothing until after his death. Her connection to the Observatory begins in 1851, when she supported the original capital drive to build an observatory by donating $10,000, around $300,000 in today’s money. When she did so, she cited her late husband’s interest in astronomy and mentioned a honeymoon stop at the Greenwich Observatory. Things get complicated after that. Once again, Blandina is surrounded by men who take up most of the spotlight. The banker Thomas Olcott and one of her nephews convinced her to up the donation to $13,000. That allowed Olcott to claim credit for this and later donations, as if Blandina’s actions were not really her own. On the day of the inauguration, Blandina donated a further $50,000. When all was tallied up, Blandina donated around $105,000, around $3 million in today’s money. It was a remarkable donation during the years leading up to the civil war. American observatories have a knack for selling immortality. 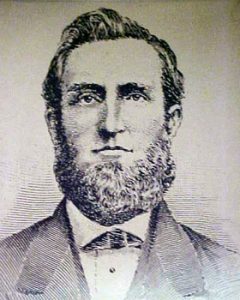 Real estate magnate James Lick would be forgotten, except perhaps as the man who introduced America to Ghirardelli chocolate, if he hadn’t paid for Lick Observatory. Charles Tyson Yerkes would be grimly remembered as one of the most corrupt men in America had he not funded the Yerkes Observatory. So it goes with Blandina Dudley. Oddly, despite the fact that she named the Observatory after her late husband, we remember her and forget him. Unfortunately, we remember that she donated the money, and that’s about it. As always, I’m convinced there’s a trove of letters out there just waiting to shed some light on the rest of Blandina’s life. If anyone has stumbled across something involving Blandina Bleecker Dudley, please drop us an email. I’ve been telling everyone for years now that the Pruyn Brashear Telescope is in good shape. It looks that way to me, but really, I’m not the expert. Thankfully, the telescope experts from Ray Museum Studios have now looked at it, and agreed that it’s in be in remarkably good shape for its age. In fact, despite the fact that it’s has gone through multiple warehouses, we only seem to be missing a single screw. The Pruyn Brashear was purchased 120 years ago in order to get the Dudley Observatory up to date with late 19th century astronomy. Most notably, it could be used for both visual and photographic astronomy. 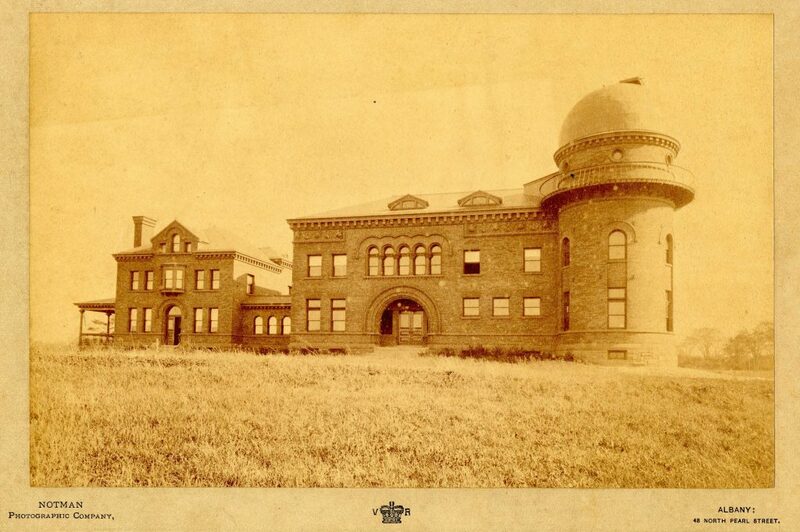 Since photo-astronomy had become the driving force behind American astronomy after the civil war, this was crucial to keeping the Dudley Observatory relevant. For our modern purposes, the Pruyn turns out to be an excellent telescope. These old large refractors do a great job of cutting through light pollution. And the interior of the telescope has numerous baffles which will cut down on ambient light. If we can manage to construct an observatory here in Schenectady, the Pruyn is exactly the type of telescope we’d want. I get this question a lot. Actually, I usually get “Where IS Dudley?”, which requires me to explain that we don’t have an observatory at the moment, but we’re working on it. But after that, someone has to explain where the two Dudley Observatory buildings were. Fortunately, because the Observatory’s latitude and longitude needed to be known to a precise degree, it’s not difficult to pinpoint where the buildings originally stood. Both observatories were major Albany landmarks, so they’re usually not hard to find on old maps. The 1877 map also clearly shows the railroad line that forced Lewis Boss to abandon the original building. 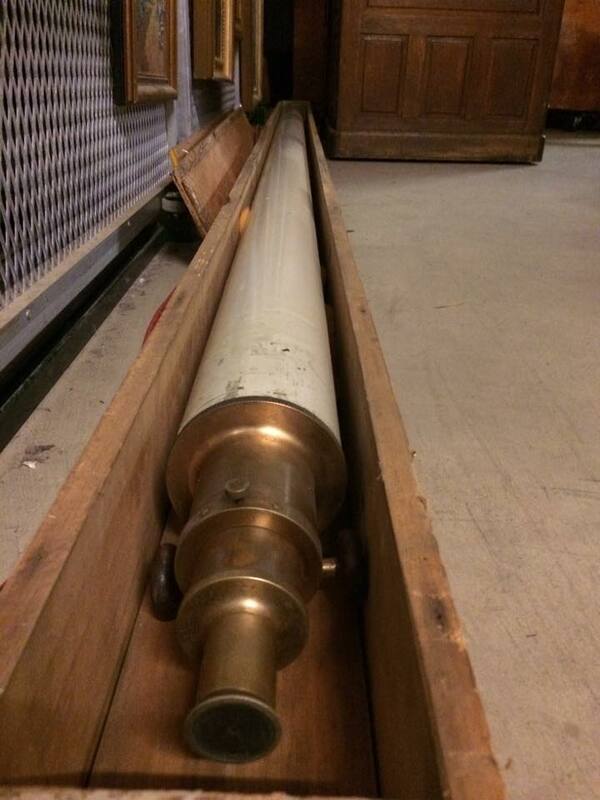 When the observatory was opened, there wasn’t enough rail traffic for it to matter. But by the 1870’s and 80’s, the steady stream of locomotives passing nearby caused enough vibration that it wrecked the calibration of the telescopes. There was also the occasional puff of smoke that entered the observatory building. All in all, it’s not surprising that the building burned down after it was abandoned. The unofficial name for the rise on which the observatory sat was “Goat Hill,” because the the large number of feral goats that grazed on it. One of the astronomers, Richard Hawley Tucker, wrote that, “There are hundreds of them in the neighborhood.” In a letter to his mother he explained that they were, “taking advantage of the somewhat dilapidated condition of our fences and our own devotion to higher pursuits they come in crowds. Prof [Lewis Boss] has a pistol with which he peppers them with fine shot, and usually he only needs to shout to make them scamper.” Never let it be said that astronomers don’t know how to have fun. More on the second observatory in another post. Given that the Inauguration of the Dudley Observatory took place right after the AAAS convention, it’s not surprising that many of the attendees were scientists. However, some of the names of the list of attendees stand out: Alexander Dallas Bache, superintendent of the foremost scientific institution in America at the time, the US Costal Survey. Benjamin Osgood Peirce, influential mathematician at Harvard. Louis Agassiz, internationally famous naturalist. 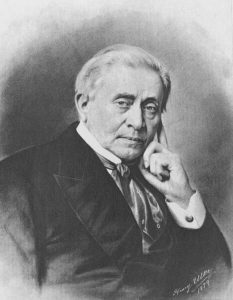 Joseph Henry, pioneering electrical engineer and the first director of the Smithsonian. Wolcott Gibbs, prominent chemist, soon to be at Harvard. These men were some of the leading scientists in America at the time. These names, along with other attendees like James Dwight Dana, James Hall, and of course Benjamin Gould, make up an impressive list of some of the best and brightest. But all these names have another thing in common: they were part of a group known as the Lazzaroni. On one hand, the Lazzaroni were just a group of like-minded colleagues in the field of science who agreed to get together during conventions to “eat an outrageously good dinner together”. On the other hand, the Lazzaroni were a clique of influential scientists who all agreed that American science needed to become more professional along the lines of German science. The name “Lazzaroni” sounds like a pasta, but was an Italian term for beggar, and it was probably an ironic reference to the poor state of science on early 19th century America. As Benjamin Gould discovered when he returned from Europe, American science simply didn’t have the tools that European scientists had, nor did they have the resources to build the tools. America needed scientific institutions if it was going to compete. The Lazzaroni, in between meals and drinking, agreed that building these institutions should be a priority, that the right sorts of people should be recruited to lead them. Probably their greatest achievement was the creation of the National Academy of Sciences, founded by congress in 1863 to act as scientific advisers to the government. They also backed a plan to create a university and an observatory in Albany, although not at the same time. That takes a little explaining. As I mention previously, it was James Armsby who originally suggested that an observatory be added on to plans for a world class university to be built in Albany. While Agassiz supported the idea, the rest of the Lazzaroni were opposed to spending the money. 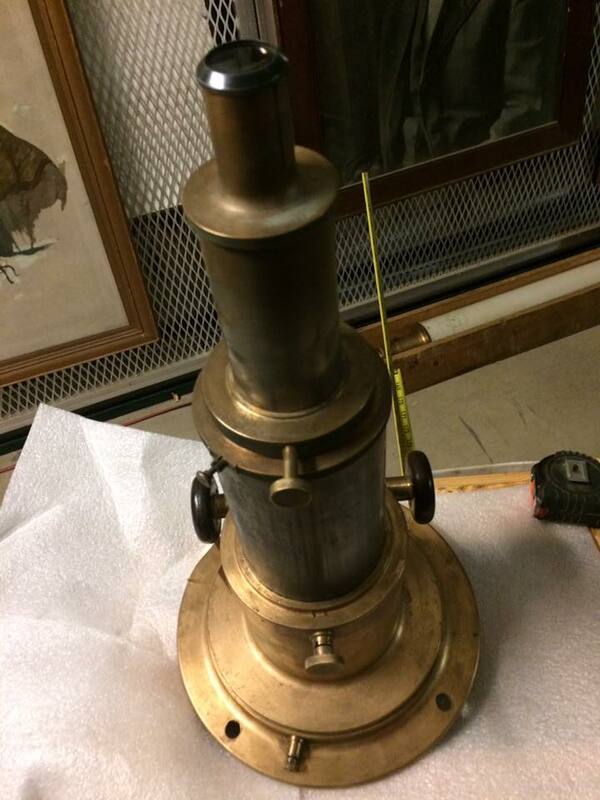 America had two world class refracting telescopes at that point; one in Harvard and one in Cincinnati that was inactive as Ormsby Mitchell toured the country raising money for staff. Adding a third didn’t seem to advance American science much while taking away resources that could be better spent. The plan for a university died when the state legislature would not fund it, but thanks to the efforts of Mtichell and Armsby the observatory found private funding from donors like Blandina Dudley. At that point, the Lazzaroni started to come around. They worked out a deal with the Armsby that would shape the purpose of the new observatory: if Dudley would purchase instruments for very careful measurements of stellar objects, like a heliometer and a transit circle (more on these later), then the Lazzoroni would throw their considerable weight behind the project. In essence, the Lazzaroni wanted a specialized observatory that would complement the work that the Costal Survey was doing. In return, Dudley got a three of the biggest names in American science on their board: Alexander Bache, Joseph Henry and Benjamin Peirce. And one other, not quite so big name: Benjamin Gould. But it’s easy to make too much of them. Here at Dudley, they failed repeatedly. They could not get the state to support a new university, and they eventually lost their influence over the observatory. Still, their deal with Armsby gave Dudley it’s trajectory as something more than a meeting place for local stargazers. Dudley would become a world class observatory doing careful measurements of the heaves, but not until the Lazzaroni were kicked out of the place. This is a painting by Thompkinss Matteson (1813-1884), a successful painter out of New York City and Sherburne, NY. It’s a fairly large piece – 56 x 72 inches – and it was completed the year after the inauguration. Completed for whom is the question; there doesn’t seem to be any record of the painting until it was donated to the Albany Institute of History and Art in 1917. No one knows who commissioned it. That’s actually important, because the inauguration brought together several competing factions in Albany politics. Depending on which faction commissioned it, there may be some faces missing. Many of the faces are too vague to identify. Most of those that can be seen have been identified. Here Dudley is indebted to Norman Rice, former director of the AIHA, Ian Bartky and Christine Bain of the NYS Library for painstakingly matching faces to portraits and identifying the people pictured here. Their conclusions were published in a paper titles “An Event of No Ordinary Interest: The Inauguration of Albany’s Dudley Observatory,” in 1999. Interestingly, several of the people pictured here were probably not in attendance. Former President Millard Fillmore is pictured on the far left, but there is no record that he was attending. 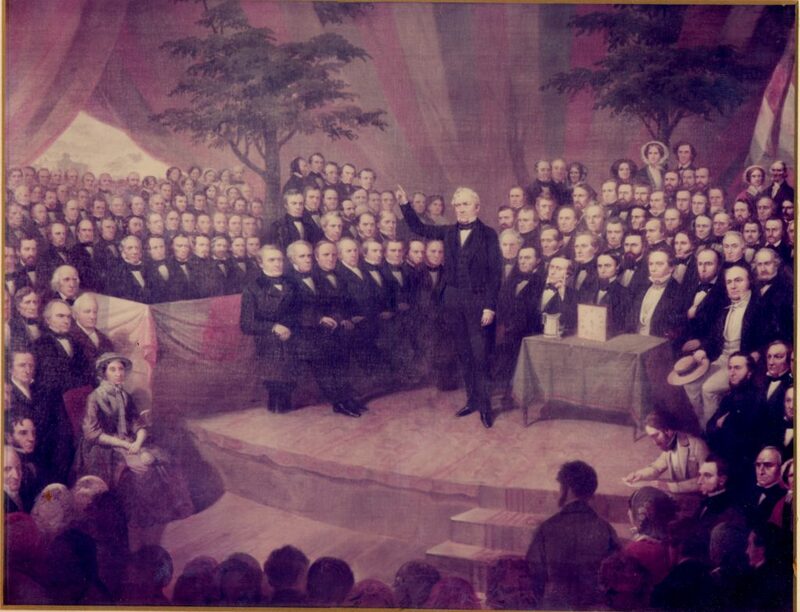 Matthew Fontaine Maury, Superintendent of the US Naval Observatory, is pictured in the middle, again despite the fact that there’s no record of his attendence. This is interesting, because Maury was a rival of many members of the Scientific Committee, including Alexander Bache. Was this a jab at the Scientific Committee?